What Happens When A 2D Character Suddenly Becomes Three Dimensional? Like most friends, Rabbit and Deer don't have quite everything in common, but at least they're both 2D-animated characters. Things change rapidly in this ingenious and sweet short film when Deer enters the third dimension while his friend is still 2D. 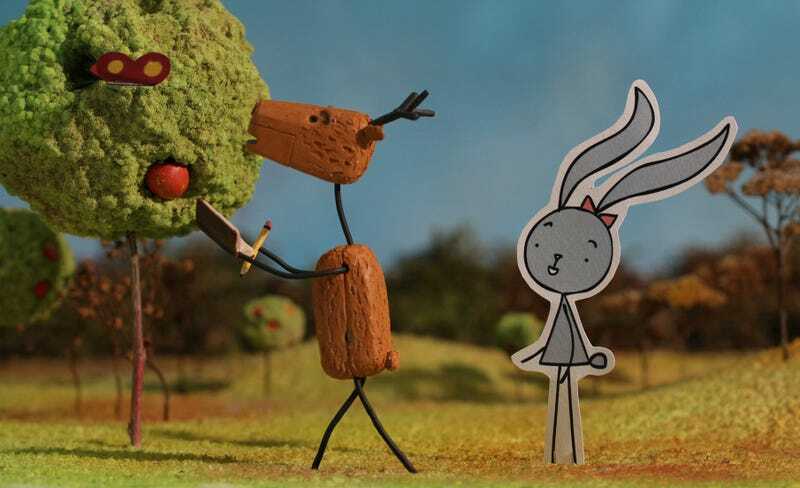 Rabbit and Deer (Nyuszi és Őz) was Péter Vácz's MOME Anim graduation film. It's a delightful blend of 2D and 3D animation, playing nicely with both visual perception and the medium of hand-drawn animation. And it doesn't hurt that there's a tender story at its heart. Vácz also has a "making-of" post up on his blog.